Store shelves are packed with dozens laundry detergent brands in bottles. powders, and pods. Which one should you buy? Maybe you're loyal to the one your mother used, the one with the scent you love or you just buy what's on sale. With so many choices on the market, let's look at the top performing laundry detergents. There's sure to be one that fits your budget and gives you the level of clean you desire. 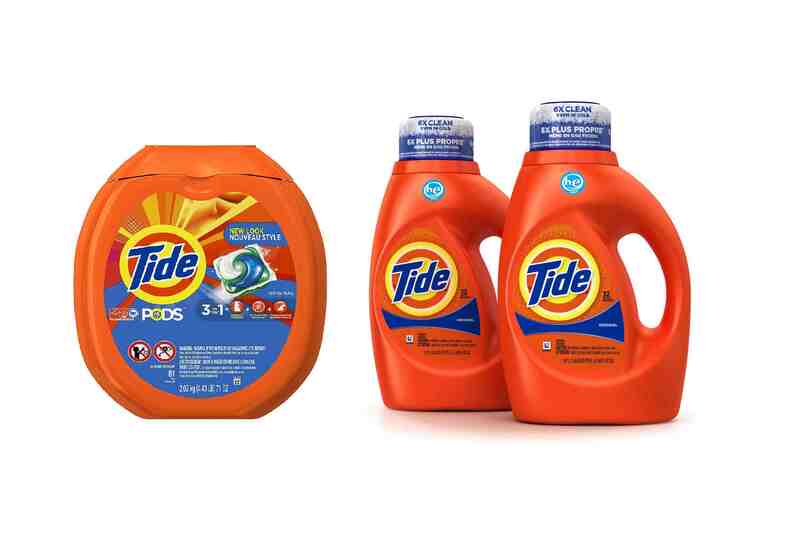 Tide is an iconic laundry brand and within the Tide family, there are many versions of the original formula with a variety of scents (or Free & Gentle that contains no scent or dye) and additions like fabric softeners and boosters. Tide is available in liquid, powder, and single-dose (Tide Pods) versions. Because the basic formula in each Tide variation doesn't change, each one is a highly effective detergent for removing body soil and everyday stains. The different custom formulas offer consumers the added components they desire without the step of adding another laundry product like fabric freshener or additional stain removers or brighteners. While consistently ranked as one of the most effective laundry detergents in removing stains, Tide is also one of the most expensive. There is one Tide product that will actually save you money and still give effective cleaning: Tide Coldwater Clean. Using cold water for washing can significantly reduce home energy bills. Tide has also introduced a lower-priced detergent, Tide Simply Clean & Fresh, as a way to compete with medium-priced brands. While it carries the Tide name, it is not the same formula as original Tide and does not contain the needed ingredients to remove tough stains and odor. If you have ever traveled to Europe or Latin America, you've probably seen the name Persil in the laundry aisle where it competes with Ariel, the brand name used for the Tide formula in other countries. The Persil brand is available in two formulas in the United States: Persil ProClean Power-Liquid and the single dose Persil ProClean Power-Caps. The liquid formula is safe to use in all water temperatures, standard and high-efficiency washers, and is safe for use with septic systems. It is available in several scents including fragrance and dye-free. Persil offers a high level of enzymes and the other cleaning ingredients that are needed to remove tough stains and body soil and is ranked as one of the best performing laundry detergents. The Seventh Generation laundry product line includes various formulas of liquid and single dose pac laundry detergents, dryer sheets, and stain removers. The products are widely available in drug, grocery, and mass merchandise stores, as well as online. All of the ingredients in Seventh Generation products are plant-based and the formula contains the necessary enzymes, surfactants, and water conditioning agents needed to effectively clean clothes and remove stains. Seventh Generation products do not contain any optical brighteners and are safe to use on hunting gear and military uniforms. The all® line of laundry products includes liquid, powder, and single dose pacs and is a good mid-priced laundry detergent. While the formula does not contain as many cleaning enzymes as Persil or Tide, it does a very good job on all but the toughest grease stains. You will need an enzyme-based stain remover to supplement your stain removal routine. The line includes all® free clear liquid detergent. The formula offers the same detergent formula as regular all® with stain lifters or surfactants but is free of perfumes and clear of dyes and is recommended for babies, young children, and anyone with skin sensitivity. If you love a highly-scented laundry, then Gain is a top performer. The researchers at P&G have determined that different cultures value certain fragrances and equate them with cleanliness. The Gain product line of liquid, powder, and single dose detergents, scent enhancers, fabric softeners, and dryer sheets capitalizes on that. Gain is another mid-priced laundry detergent that works well in removing light body soil and stains. Laundry comes out highly scented, however, some traces of stains remain. Gain does not contain the level of enzymes needed to remove heavy stains especially oily stains and those that contain dyes. If you love the scent of Gain, keep an enzyme-based stain remover on hand for the cleanest laundry. Arm & Hammer is a mid-priced laundry detergent available in liquid, powder, and single dose pacs and found in most mass-market store laundry aisles and online. There are several scents and formula variations. For the most cleaning power, choose the formula that contains OxiClean. The stain removing boost of the sodium percarbonate (oxygen bleach) to the surfactants, enzymes, and baking soda in the formula makes it an effective laundry detergent for all but the toughest stains. If you are used to seeing the Tide bullseye logo on an iconic orange bottle on store shelves, don't think you are going color-blind when you see that same logo on the bright yellow bottle of Tide Simply Clean & Fresh. Tide Simply Clean & Fresh does not contain the enzymes and quantity of stain fighters that you will find in regular Tide and does not perform nearly as well. 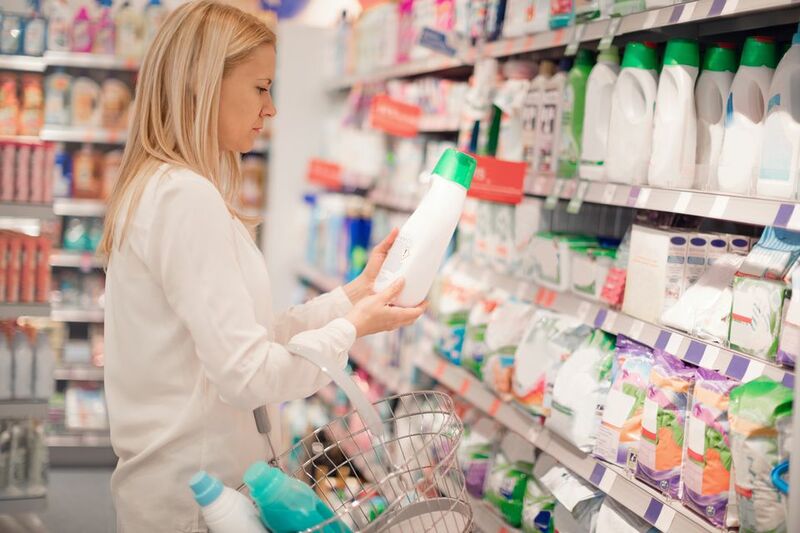 The lower-priced Tide version is aimed at the value-minded shopper who usually bypasses premium brands in favor of generic or less pricey laundry detergents. If you are an original Tide lover, use Simply Clean as an alternative for lightly soiled clothes to save some money. For clothes that are stained or sweaty with lots of body soil, use a premium, heavy-duty detergent like Tide or Persil. It's worth the money spent to have cleaner clothes and save time by preventing the need to rewash clothes. Purex is a lower-priced laundry detergent that is available in liquid and powder formulas. If you are shopping for Purex, choose the formula with the addition of Clorox 2, an all-fabric, oxygen-based bleach, that will boost the cleaning performance by adding the cleaning enzymes, protease, amylase, and mannanase. Original Purex, which does cost less than other formulas, does not contain the necessary stain-removing enzymes and ingredients to tackle tough soil but works fine on lightly-soiled items. Woolite is a line of gentle laundry detergents without more powerful cleaning ingredients to remove heavy stains like set-in mud, grass stains or grease. It can handle normal body soil on clothes worn in an office or a light-use setting and is ideal for delicate fabrics and for handwashing sweaters. When comparing the ingredient listings for the various formulas of Woolite there are very few differences. All work well for machine or handwashing delicate fabrics and protecting dark colors from fading. Ecos Laundry Detergent is a plant-based concentrated laundry detergent that can be used in all water temperatures for all washable fabrics. It is safe to use in high-efficiency (he) and standard washers. The detergent contains a natural, coconut-based fabric softener and is pH neutral. Ecos Laundry Detergent is 100 percent biodegradable and free of 1,4-Dioxane, petrochemicals, and formaldehyde. Most of the varieties contain N.O.P.-certified (National Organic Program–part of USDA) organic essential oils and carry the Safer Choice designation by the U.S. EPA. Available in different liquid scents and unscented single dose packs, Ecos contains the necessary ingredients to remove tough body soil and stains. The bottles and caps are clear and the cap is very easy to read to prevent overdosing. While Ecos is not available at every mass market retailer, it is easily ordered online.